GBP was supported by the British PM. 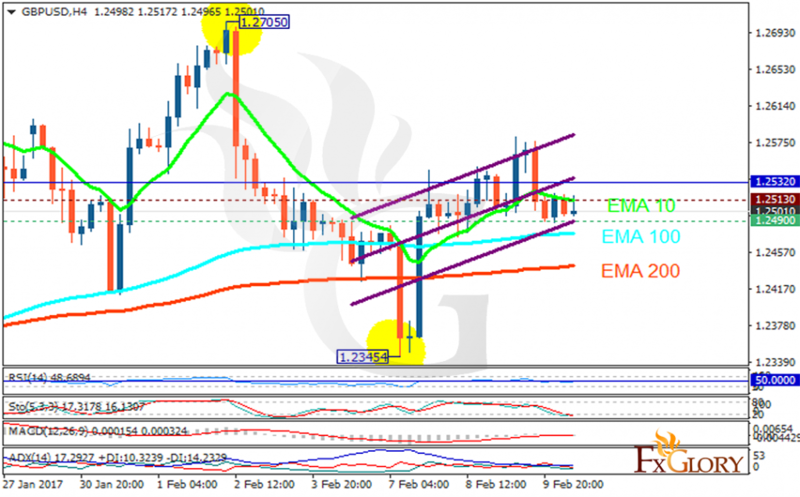 The support rests at 1.24900 with resistance at 1.25130 which both lines are below the weekly pivot point at 1.25320. The EMA of 10 is moving horizontally within the ascendant channel and it is above the EMA of 200 and the EMA of 100. The RSI is moving on 50 level, the Stochastic is moving in low ranges and MACD indicator is in neutral territory. The ADX is showing a weak sell signal. It seems that the bulls are taking the control of the chart therefore buyers can target 1.2700.